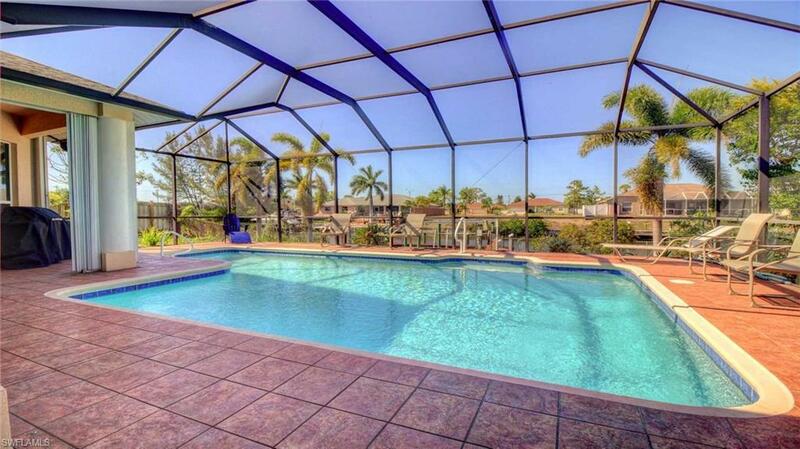 129 SE 28th Ter, Cape Coral, FL 33904 (MLS #217071420) :: Clausen Properties, Inc. This is a VACATION RENTAL only. Owner will not consider an annual rental. Weekly rentals permitted.The name says it all. As soon as you enter this beautiful vacation home you will be impressed by the harmony of colors and tastefully furnished rooms, topped off by the relaxing atmosphere of the lanai with its elegant, heated pool and great view of the Gulf access canal. 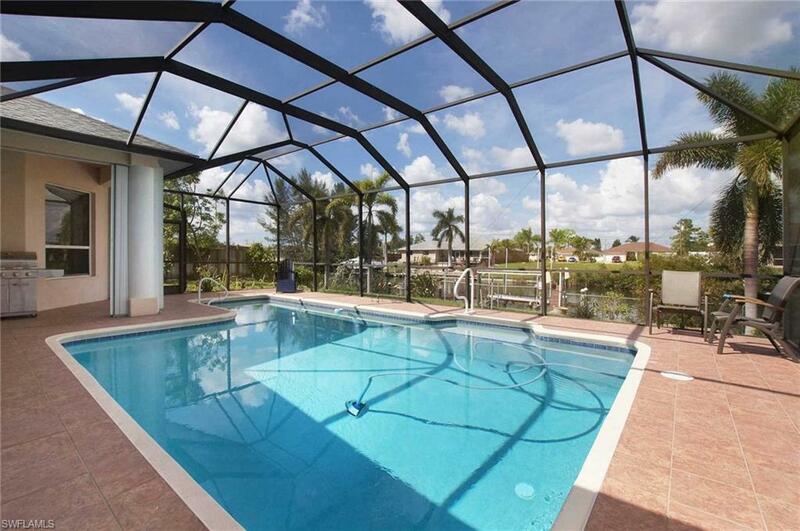 Located in a quiet area of SE Cape Coral it has conveniently short connections to many great restaurants, bars and supermarkets. 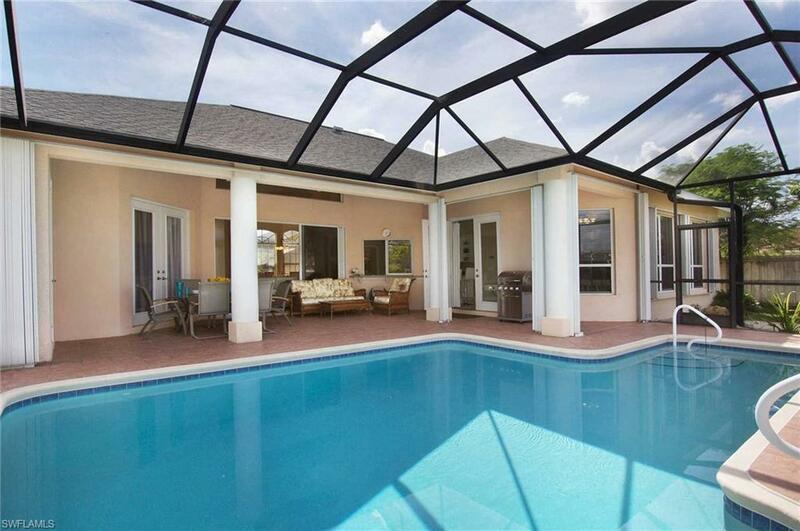 On 2549 Sq Ft Villa Harmony offers lots of southern Florida Feeling. 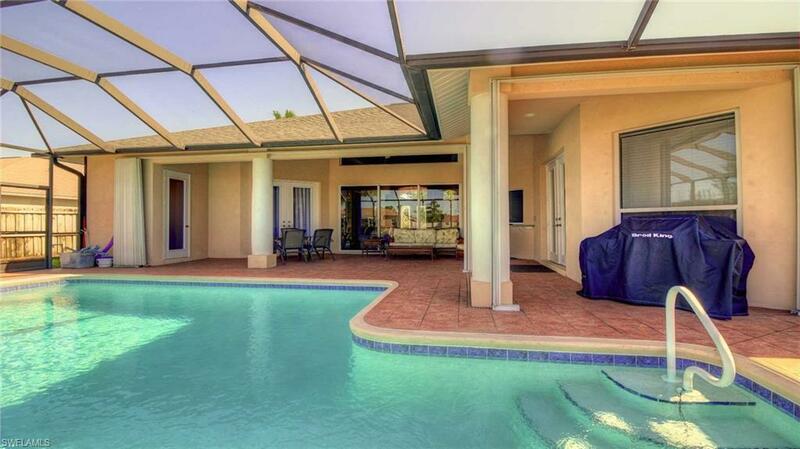 This beautiful appointed 3 Bedroom (plus a den with a convertible sofa making it the fourth bed room), 2.5 bathroom, Gulf access pool home is perfect for larger families or couples traveling together. This gulf access, pool home is well decorated in light and pleasant colors and outfitted with modern and comfortable furniture and 4 TVs. The well designed interior includes a fully equipped, spacious, tiled gourmet kitchen featuring modern appliances, a practical kitchen island and an adjacent breakfast bar. It has everything to prepare extensive holiday meals or supply treats for a large party.